One of the series' biggest moments is here. We go through each page of the incarnation of Femto and close out the Conviction Arc. Thanks for the podcast guys, enjoyed this one a lot. Thanks! Talking about ep 175 was really special, since it's probably my favorite episode in the series. Sorry guys for the poor quality of my audio at the beginning. I had messed up my microphone settings, but it got fixed by the time of the actual reread portion. As always, lots of fun talkin' Berserk! Good job guys, an interesting listen, as usual. I actually met about 10 Berserk readers in RL, but it´s not that unusual to meet comic/anime fans. I introduced most to Berserk myself, so they don´t count. One sticks out though, as a 10 years younger girl who goes to the same university as me (i need a degree for my job, that´s why i am currently a student) recognized my Beherit pendant during a train ride. We immediately bonded over or hate for the new anime. Buy your Berserk bling today and meet hot younger women ! It´s the Miura meet cute guarantee. A LOT of my fellow students are into comics and so on. Another girl even has Ace´s cross from One Piece as a tattoo but that what happens if you sign up for library science. I even got to organize an interview with an editor for Carlsen Comics. They are Germany´s biggest comic publisher and they also have the Jump license here in Germany. Cool stuff. In summary: Reconsider your career paths if you want to meet more people like you outside of reddit and co. Thanks again for taking the time to make these as they are always a pleasure. This was one of the best I've heard. Always love when a new podcast is posted. Love the rereads! thanks guys and girl! Thanks everyone! As always people like the re-reads way more than I initially thought. I'd like to get on a quicker pace for them, but real-life often gets in the way. I've been considering changing something about the re-read format, but would love some input from listeners. The page-by-page nature of these is what takes time. What if we continued rotating narrators between eps, but instead of going page-by-page, we talked summarily about our impressions and observations about the episodes? The high points, as it were. I'm thinking about how most people must absorb these. Without having the volume in hand, going along page-by-page with the re-read, I'm not sure what the function of going over each panel is, since we can't really describe the art. Thoughts? For the re-reads and new episode discussions, I usually follow along with the manga in my hand. However, this means I have to pour all my attention into the re-read, and while that might be fine to me personally, I don't imagine it is for those who would rather multitask (or multi-slack), listen to it in the car, or whatever. So a new format might be worth trying for that purpose. Rotating narrators is a good idea, particularly since it's nice to hear more from Grail, who's usually pretty quiet. One quibble I had with this most recent podcast, though, is that it felt like more of a summary to me at times, rather than a more serious analysis, but that just might be a natural consequence of going over the highlights rather than delving into the nitty-gritty details. It would be great hear you elaborate on the threads running through the story. Often times you touch on the big themes but pull back to stay on track with the volume. I'd love it if you took time to explore how events are intersecting or how future payoffs are being setup. You guys did a bit of work trying to straighten out confusion on the events surrounding the incarnation which was excellent! I would love to hear you guys take on the wacky theories and do a bit of myth busting as you work through the material. 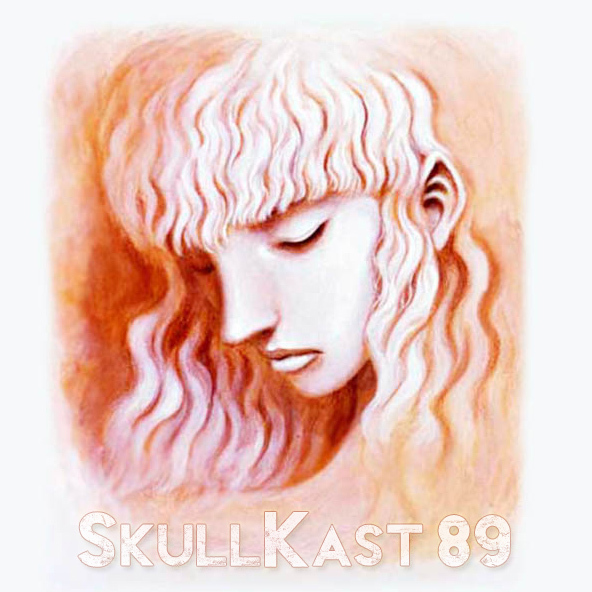 I'd love to hear you all be freed up to explore whatever aspect of Berserk the conversation leads you to. You already do all these things to a degree so just more please. I would love to hear you guys take on the wacky theories and do a bit of myth busting as you work through the material. Been working on that quietly in the background for a while. Maybe now is the time? I'd be down to hear that. These podcasts helped me a lot with some parts of the story and I've been a fan since 2003. So it's always cool and appreciated to discover stuff that I missed or misinterpreted parts. Thx again for making these guys! I eat these podcast's up regardless, however I do like the page by page because I feel you and gang often bring more incite to each page and pick up on things I maybe miss or don't think about. You and the group have such a deep knowledge of berserk and I like when that comes through in the rereads. Like I said though I will listen to what ever you decide to do. Good input from the members who posted above, props to you all you mates. Thanks for asking Walter and for giving us a chance to be participants (of the process) even as listeners. To me, the re-read podcasts function as Admins (and the occasional bonus participants) laying the smackdown in a one time only, special analysis of the series, where there’s an in depth view of past episodes and volumes. I'd be lying if I said there were moments where I didn't think of a certain implication the way I thought it played out or a scene's significance or the expression when someone said something or an instance foreshadowed, etc. till the podcasts shed light on it. There were moments, I as a reader, knew of beforehand or from reading the forums over the years when a member would ask a question and it’s clarified by Walter, Aaz, Griff but with the page by page analysis there's also talk of certain misconceptions of a particular moment that are addressed and squashed which I love. The re-read analysis is such a good source for anyone if they have the time to listen to it versus doing a forum search and going through topics. It's rich in information on a different level, with a personal touch. The analysis on the first 3 volumes were some of the best in the series of re-reads because not a lot of people or new fans discuss it, they’d have questions of more recent scenarios or theories. Then again, I realize in the real world it's hard to make the time to create the content and we all have lives outside the forum. It would be selfish of me to say “I want this or that” when I'm the guy simply clicking on the podcast button and consuming it - whether it's on the go or while I cook (when I often listen to older favorite pods), etc. To create this level of content takes massive effort. So as a fan of the series, the quality of the content that's being given to us and of the members in the podcast, I'm just glad to hear you guys talk Berserk, movies. I’ll leave the way you discuss it up to you and trust me when I say, I’ll be more than happy with the direction the Admins choose moving forward *thumbs up*.